Een instant klassieke Polaroid camera voor de liefhebbers van analoge fotografie! Doos is licht beschadigd, maar apparaat werkt nog volledig. 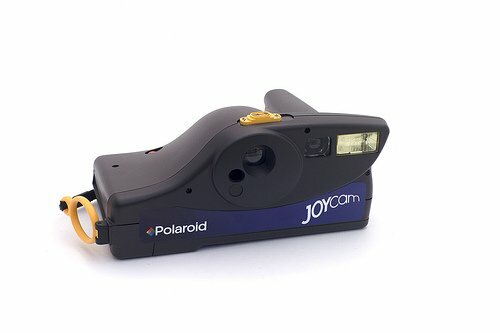 The JoyCam is another "point-and-shoot" instant camera from Polaroid. Some of the many unique features to the JoyCam are the manual film ejection and power from a battery in the film pack. 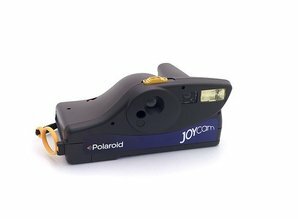 The JoyCam uses Polaroid 500 Film; a general-purpose, high-speed, film that produces a medium contrast, high-definition instant color print. Although the JoyCam has been discontinued, it is readily available and cheap ($0.01) to purchase on eBay. The film however is a tad expensive, coming in right around $0.90 per exposure.